ALLEGRA BOVERMAN/Gloucester Daily Times. A homemade device was evaluated by a Massachusetts State Police Bomb Squad member, center, on Wednesday afternoon who determined it was not dangerous. 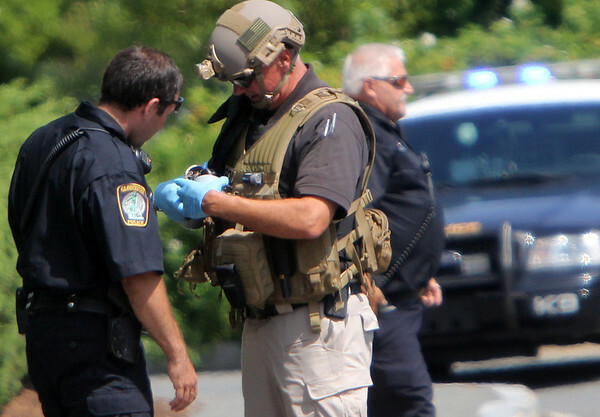 The device was found by Gloucester police behind Fastenal on Whistlestop Way in Gloucester.